I found it odd that a city can be known for both its tranquility and nightlife, but I soon found that is exactly what Boracay is. Boasting numerous top quality dive spots alongside some of the biggest parties in the region, the locals here thrive in these two extremes and it’s easy to see why. Boracay is one of the few places I’ve visited that has virtually been swamped by the tourism industry and yet somehow still manages to maintain its own character. 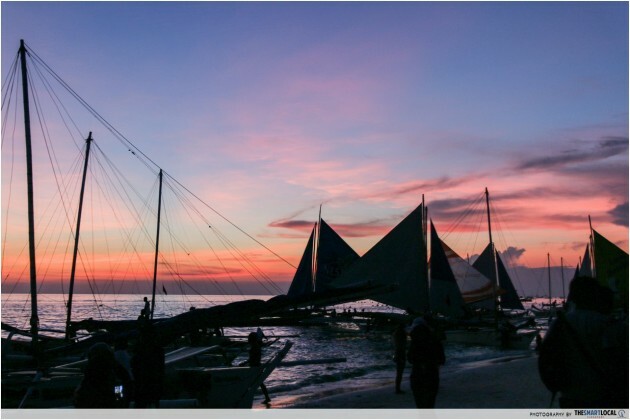 Sure, there were occasions where we were herded like sheep but there were many other instances where sunsets like this and little wonders in Boracay still managed to make us stop in our tracks and take our breath away. 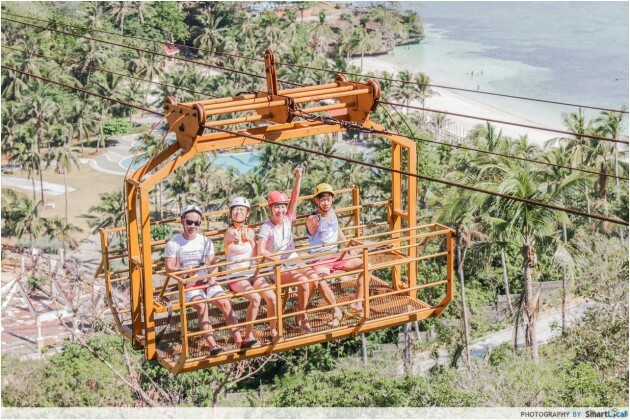 Here we bring you 10 compelling reasons to make Boracay your next beach holiday destination. For someone with an irrational fear of heights, this was my worst nightmare. Unlike regular theme park rides with safety harnesses and automated systems that essentially force you into a plunge, at Ariel’s Point you are your own Battlestar Galactica. Word of advice? Don’t hesitate. 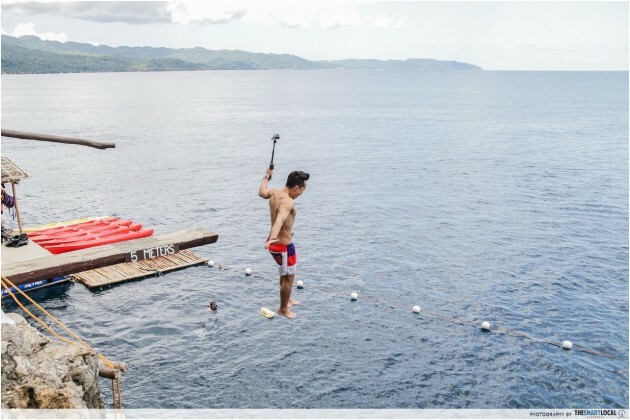 You’ll need that adrenaline rush to walk off the 15m plank. It is highly recommended that you attempt the smaller jumps before you proceed to the 15m one. 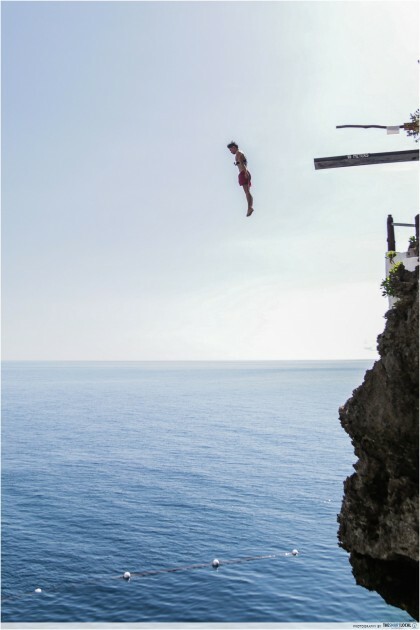 Even the 5m platform looks daunting when you’re on the verge of jumping off. Always keep your arms to your side and enter feet first to minimize the risk of sustaining injuries. Don’t worry if you’re not a good swimmer; there are lifeguards in the water below who will come to your assistance if the need arises. To get out of the water, simply swim to the ladder on the side and climb out. If you’re like me and want to start small, you can jump off the smaller white steps that come in heights of 3m and 4m before attempting the planks at 5m, 8m and finally 15m. It’s also a good idea to jump before lunch, or risk you not being the only thing flying through the air. Even from 5 metres I could feel the fall deep in my gut. One of the best parts of this trip is the amazing fact that you have an UNLIMITED supply of alcoholic drinks included in your ticket price. You get an ice cold San Miguel Light on the boat ride to Ariel’s Point and once your bottle is empty it is replaced with a full one. 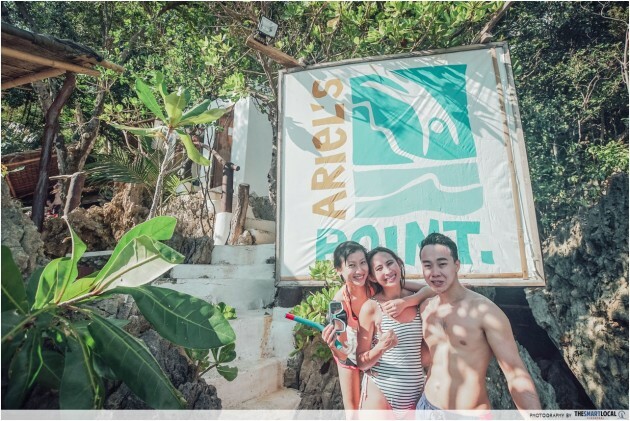 At Ariel’s Point, you can rock up to the bar counter and ask for a Red Horse Beer or whatever you fancy anytime you want. Even on the way back to White Beach, the drinks don’t stop there. The boat captain made us a delicious drink of Filipino tanduay rhum (rum) and coke that brought a whole new meaning to ‘ending on a high note’. 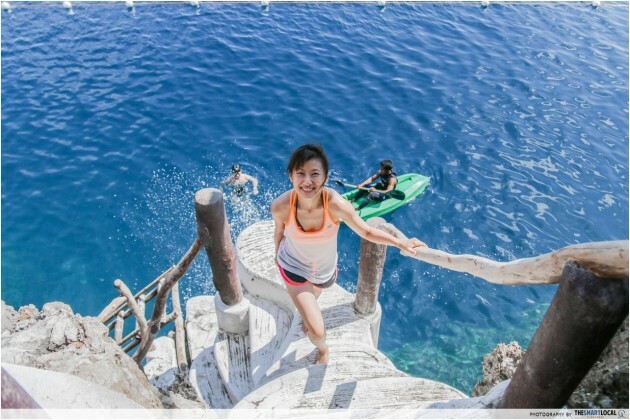 Other than cliff diving visitors can also choose to kayak, snorkel and paddleboard. 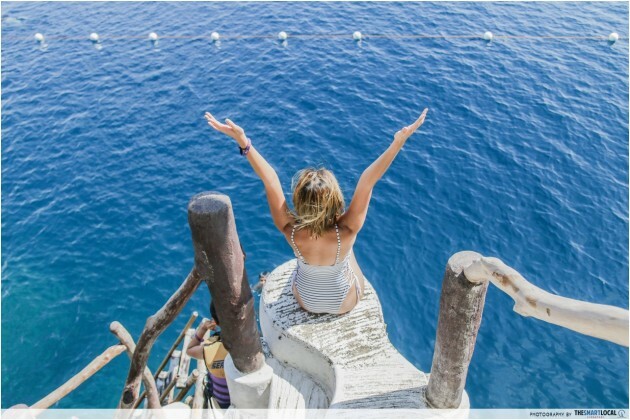 This place certainly isn’t for the faint-hearted but it sure feels good to overcome your fears and say you conquered Ariel’s Point Boracay! 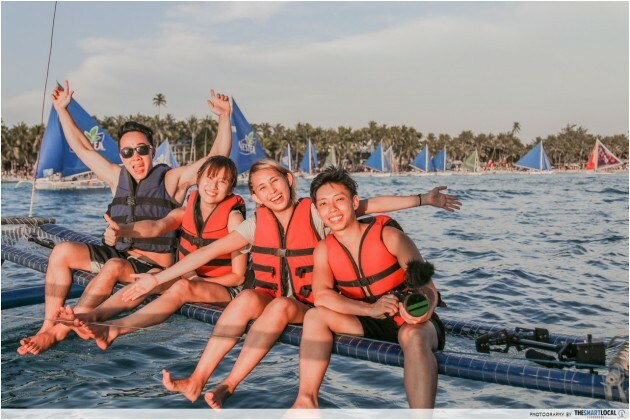 Trips depart once a day from Ariel’s House (Station 1, White Beach, Boracay) at 11.15am, but all guests will have to be physically present for registration at 10am. 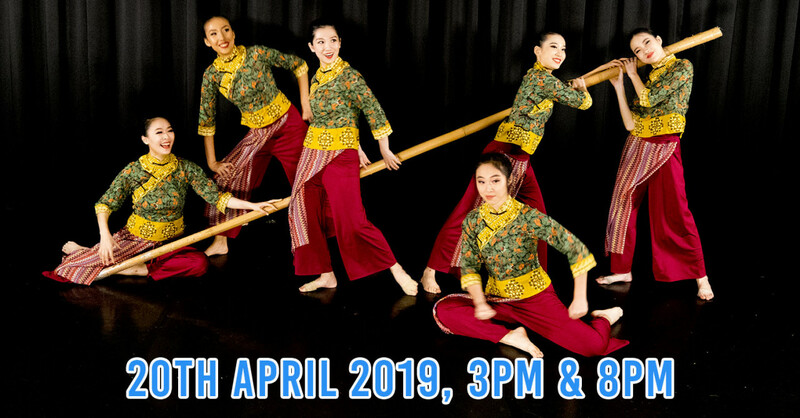 You will return to White Beach at 5pm. 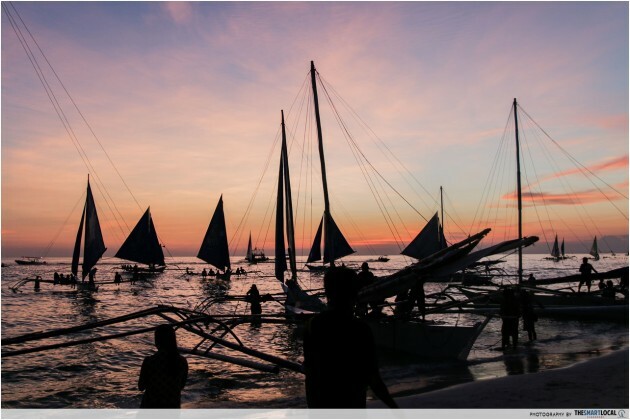 If there’s one thing you should never miss in Boracay, it’s the sunset. This is the only time of day when time seems to slow down and people gather by the shore to witness one of nature’s most beautiful phenomenons. 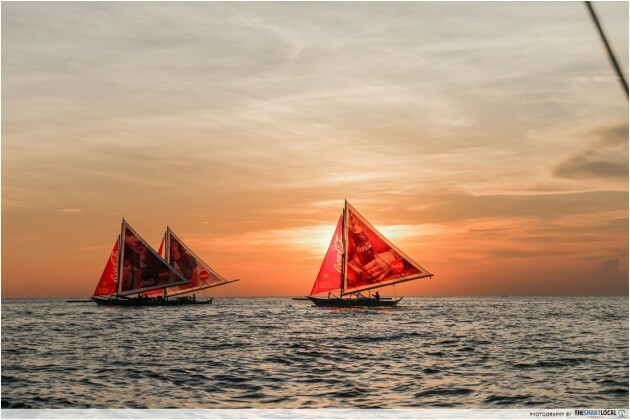 The best way to admire a Boracay sunset is aboard a paraw or local sailboat that sets off from the shores of White Beach in droves once the sun begins its glorious descent. There’s something innately romantic about the gentle rocking of the boat and water on your feet as you’re pulled closer to the sun by Mother Nature herself. You can choose to book your sailing slot beforehand with one of the many sailing companies available. If not, you can always find one along the beach. You’ll be accosted by numerous vendors hawking the same activities. Simply ask each one for the price and settle with a vendor you’re comfortable with. 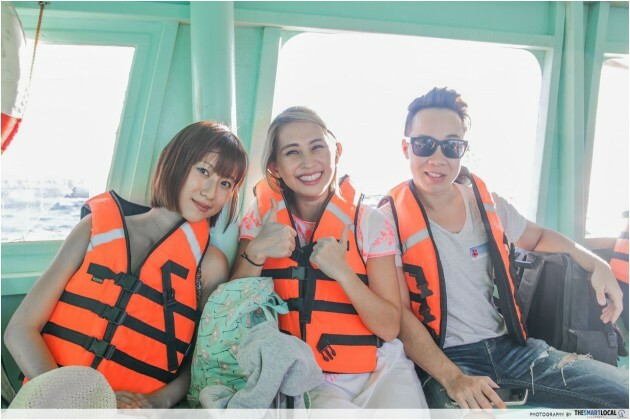 We managed to negotiate for 200 PHP (SGD6.00) per person for a half hour sail. Do note the time of your sail will affect the price quoted. Sunset sails are always more expensive, but ten times more worth it. If you can’t make it for a sunset sail, you’re better off saving it for a day when you can. 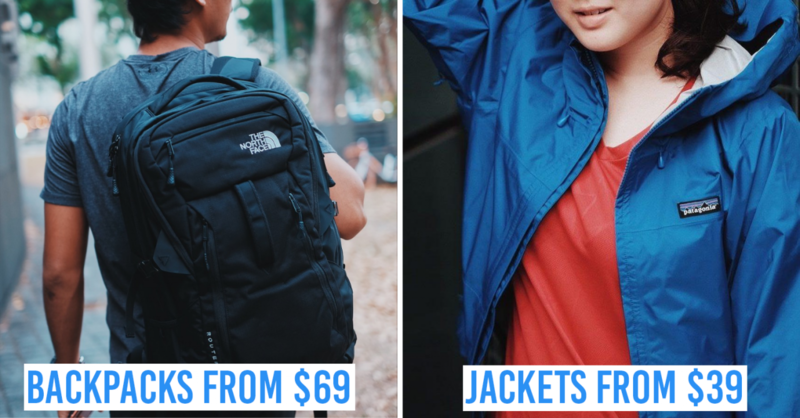 Trendsetters in the latest rave accessory - backpacks. As far as Kesha was concerned, the party don’t start till she walks in. 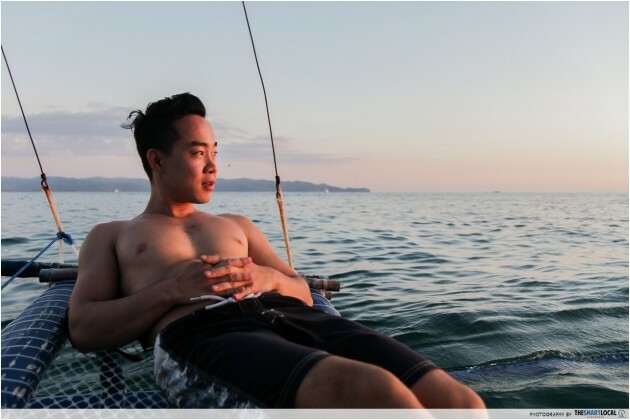 In Boracay, nobody cares. The party starts whenever it wants to, even at 2pm in the afternoon. 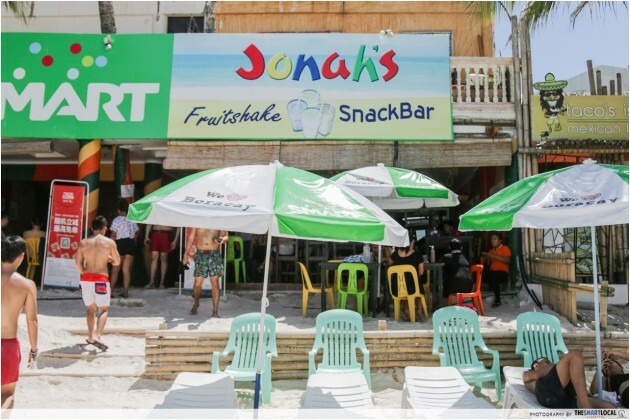 There are no shortage of clubs, bars and lounges along Boracay’s White Beach. Some of the island’s biggest parties happen at The White House and Club Paraw, both located in Station 1. 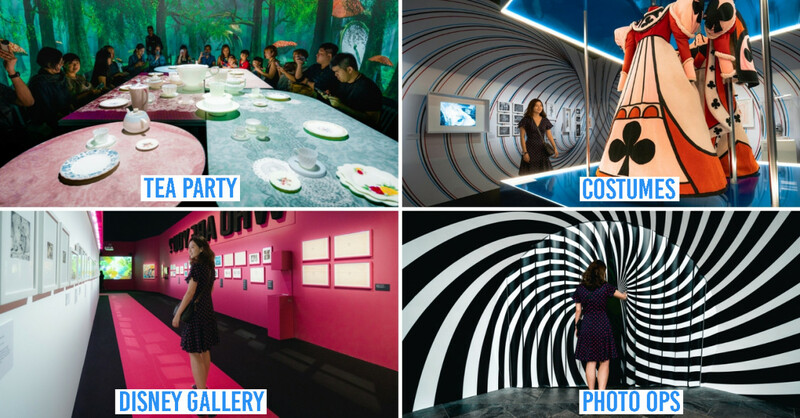 These clubs usually play a variety of genres from trance to electro pop and attract both locals and tourists alike. 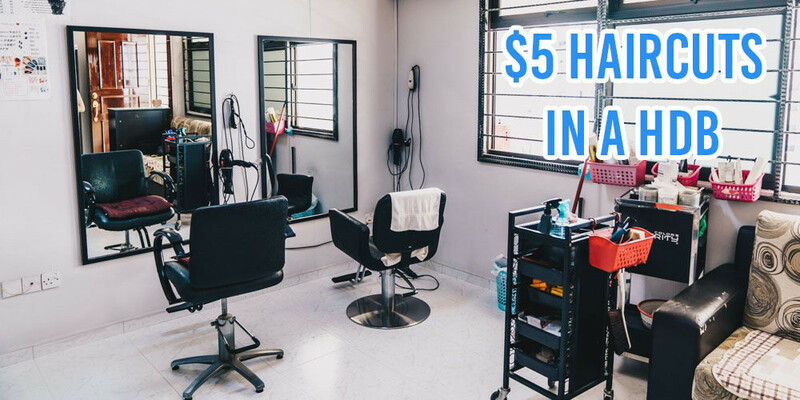 Alternatively if you happen to be visiting during the famous #Laboracay period of end April and early May, you’re in luck. 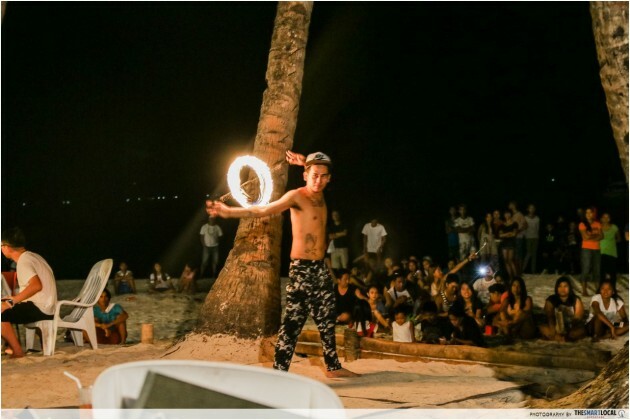 Both Filipinos and tourists flock to Boracay annually to celebrate Labour Day and with a reputation for being the party capital of the world, they sure know how to have fun. 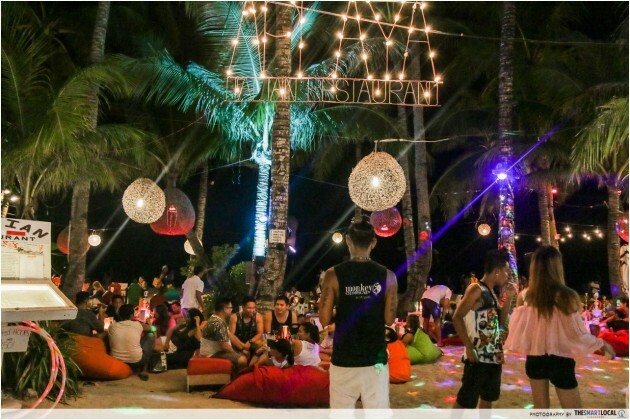 Massive parties happen all along White Beach and most of them allow you to enter for free! 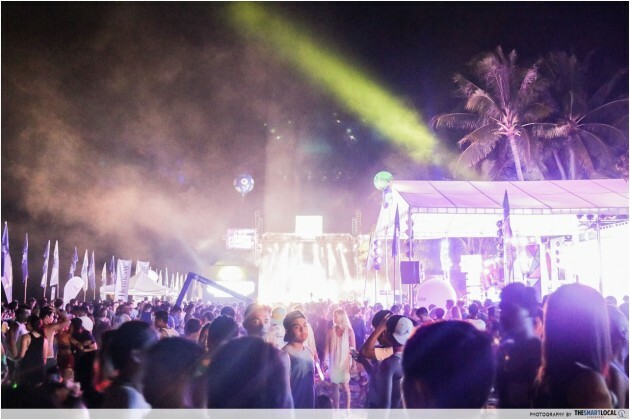 Our trip also coincided with ZoukOut Boracay that received a CRAZY turnout. 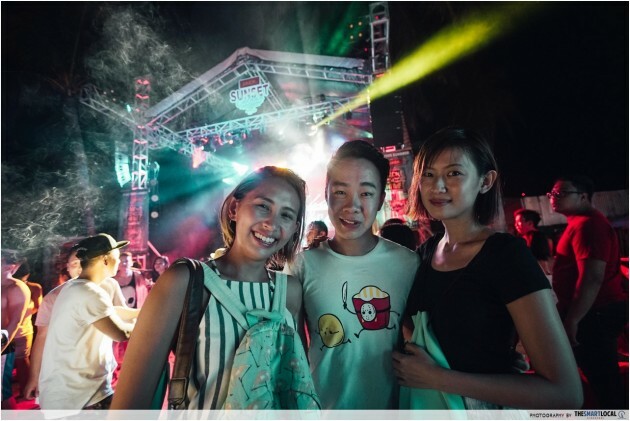 This is the best time to visit if you’re a young whippersnapper who can party through the night, but even for the old bones there’s something for you too. If head banging to Justin Bieber’s Love Yourself on steroids is not how you want to end your night, there are many chilled-out lounges by the beach that offer cold beers, live acoustic music and sometimes even shisha. Our favourite was the Aplaya Beach Bar (Station 2) with its colourful beanbags and tasty pizzas. We all expect to be paying through our nose whenever we visit rather ‘touristy’ holiday destinations, but that doesn’t always have to be the case! 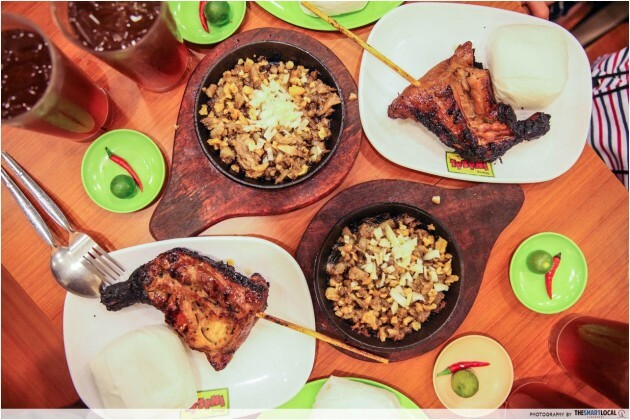 The good thing about Boracay is that it’s home to many expensive restaurants, but also to home-grown local food franchise Mang Inasal! 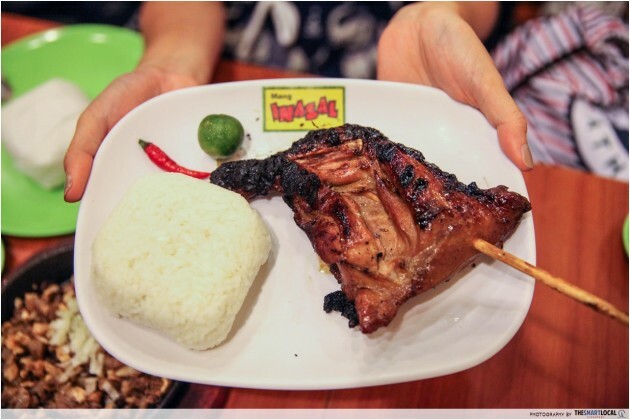 Mang Inasal serves a good variety of homey local food at very affordable prices. A set of Spicy Paa (spicy grilled chicken thigh) with your choice of drink and UNLIMITED rice refill costs just 119 PHP (SGD3.60)! The chicken is marinated in a slightly sweet sauce and grilled to absolute perfection. Served with lime, chilli and the local version of our light soy sauce toyo, everyone agreed we never expected to get food of this quality at a price like that! If you want to try something different, the Pork Sisig (sizzling bits from a pig’s head) is a delicious alternative to your regular roast pork rice. 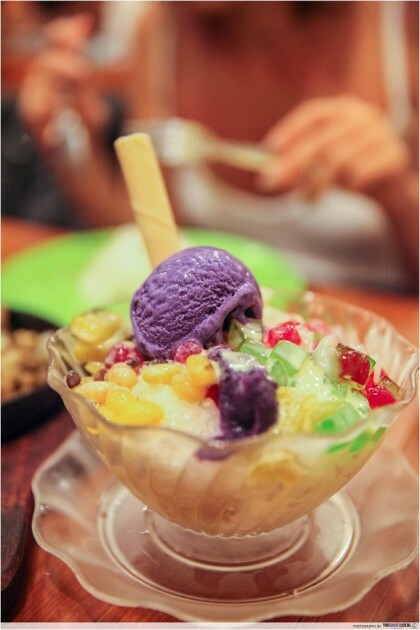 End off your meal on a sugar high with the very Filipino dessert halo-halo, literally meaning mix-mix. The local variation of our very own ice kachang contains red beans, ube (a kind of yam) ice-cream, leche flan, macapuno (shredded coconut), jellies and sweetened yellow beans. It was absolutely delicious and well worth the calories. Address: Mang Insasal is located in D’Mall, Station 2, White Beach. 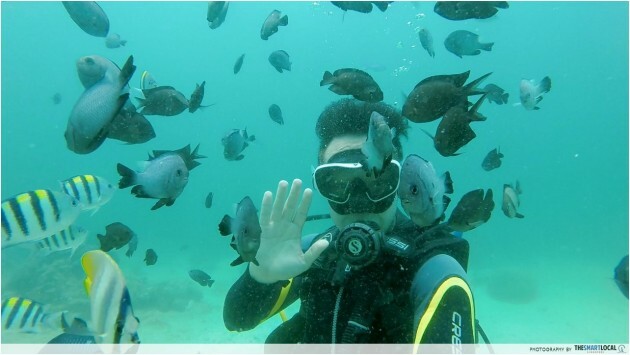 Boracay is home to over 20 dives around the island with rich waters that will have you seeing schools of fish even in the shallows. Patrons can choose to dive in one of the many sites (provided you have a diving license), go on an introductory dive or snorkel. 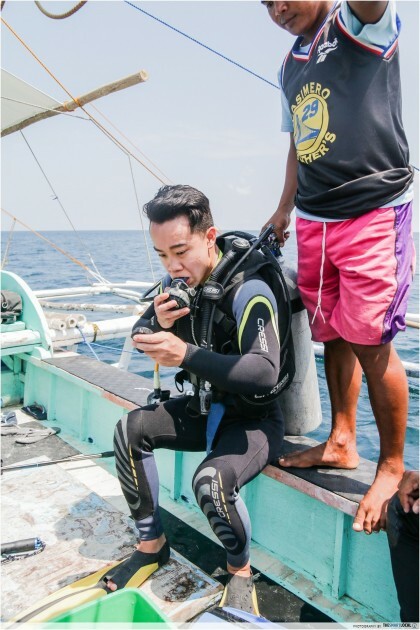 The introductory dive is a unique experience for those who haven’t done it before; you’ll be equipped in full scuba attire with a dive master by your side to guide you through the experience. If you’re lucky a sea turtle will grace you with his presence and a moray eel will peek its narrow head out of a crevice to say hello. We also managed to see a mantis shrimp, porcupine fish, puffer fish and lion fish amongst a multitude of other colourful marine life. Safety is most important when diving, so a reliable dive company is essential. We went with Free Willy Diving, known by many for being a stellar company and even the best on the island. 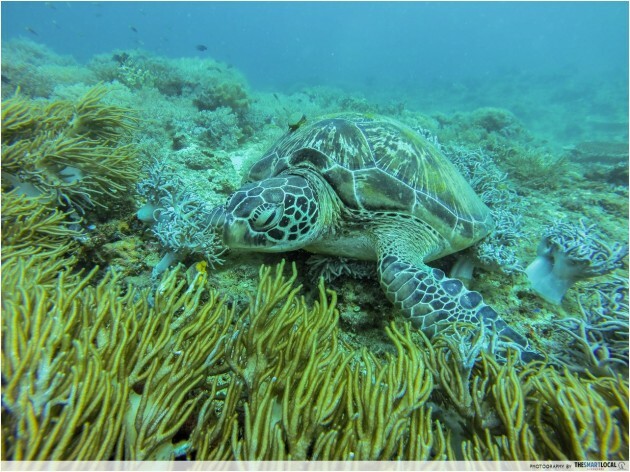 Snorkelling isn’t the most glamorous activity. Weather plays a very important factor in picking a dive day so be sure to choose one with loads of sunshine and good water visibility. 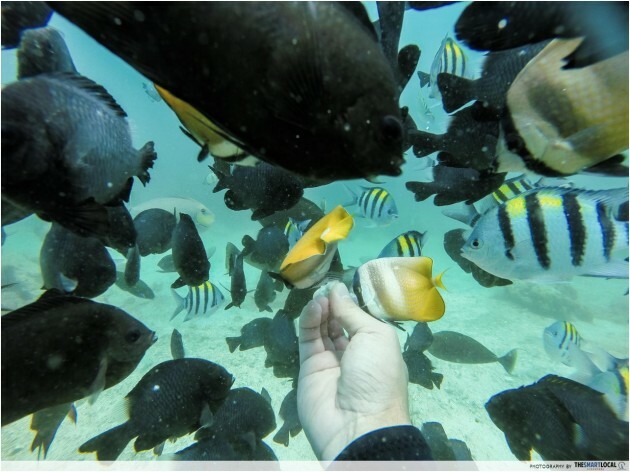 With the deeper dive sites you won’t get to see as much fish if you’re just snorkelling, so it’s actually a good idea to take the introductory dive if you want to see as much fish as you can. 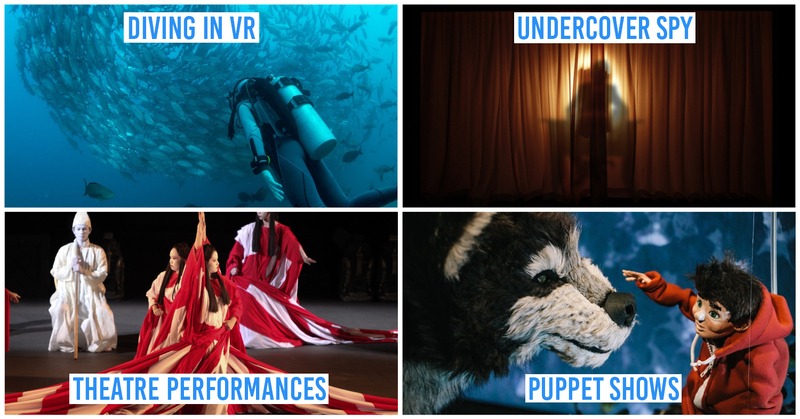 Free Willy Diving offers full equipment rental from masks to flippers and they even provide water for your trip! The only thing you’ll need to bring is perhaps a towel and tons of sunscreen. Jon the dive master was like a long-lost friend to us. Don’t worry if you’re diving alone because you’ll be accompanied by a dive master who will buddy up with you and ensure your safety. Jon our dive master was the most jovial person and by the end of the trip had become something of a long-lost friend to us. Highly recommend using Free Willy Diving the next time you visit Boracay! Pro tip: Bring some bread with you to feed the fish - they will come in schools and shoals. 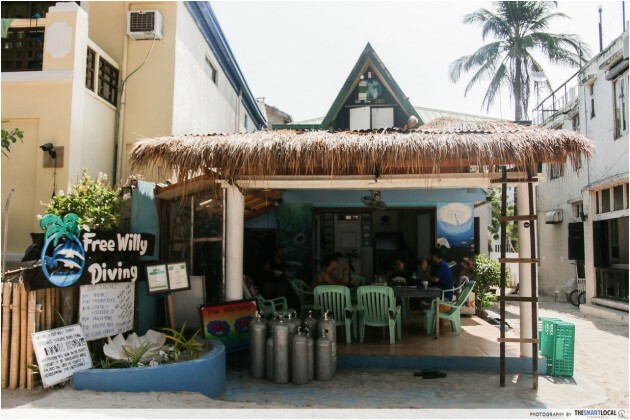 You can buy some bread from the coffee shop near Free Willy Diving for just 20 PHP (SGD0.60)! Ask Marj the receptionist to point you in the right direction. 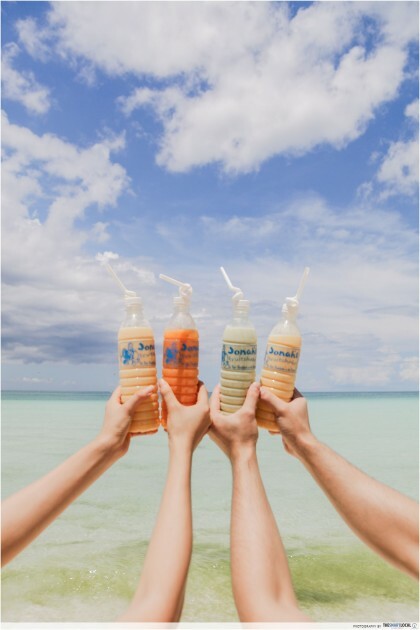 Whoever you are Jonah, thank you for opening your little fruitshake shack in Boracay. This humble little establishment serves some of the best fruitshakes around. There are quite a few outlets along White Beach but this one right here is located in Station 1. Mango melon is a crowd favourite, but the avocado milk is also one of the best versions I’ve ever tasted. You have the option of having it with or without milk so there’s something for everyone! There’s even alcoholic flavours like banana rhum (rum). When in an island paradise like Boracay it’s important to look the part i.e. 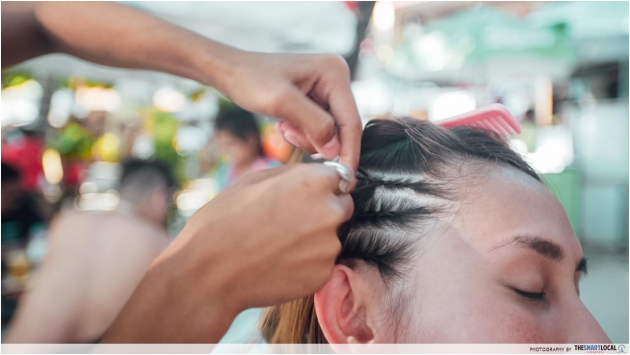 getting a mean set of cornrows done while you sip on your Mojito. 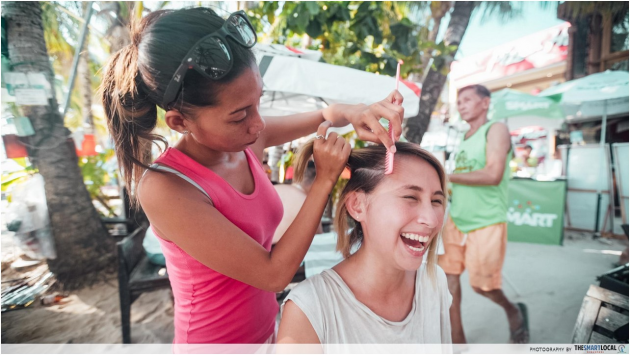 There are many vendors on the beach offering a large variety of beachy and sometimes very creative hairstyles (like a heart-shaped braid pattern on your head). These ladies work extremely fast and I got half my head done in less than 10 minutes. 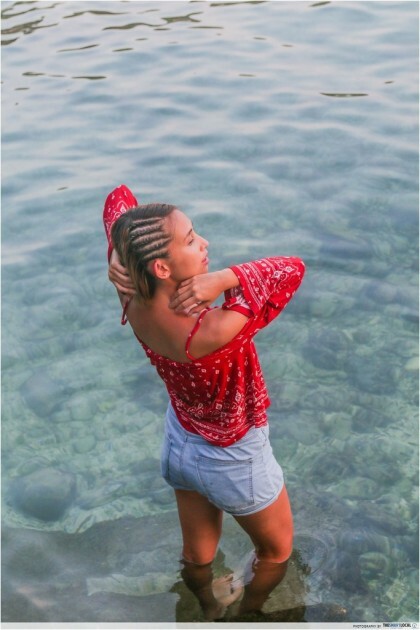 Prices vary depending on the complexity of the design you choose, but a set of simple cornrows like this should set you back just SGD6. 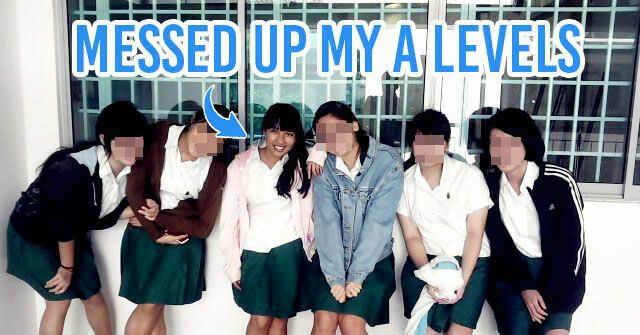 Also, the myth about not being able to wash your hair is nonsense. The lady who did my hair told me to simply pour a mixture of shampoo and water over the braided areas and it will do the job just fine! 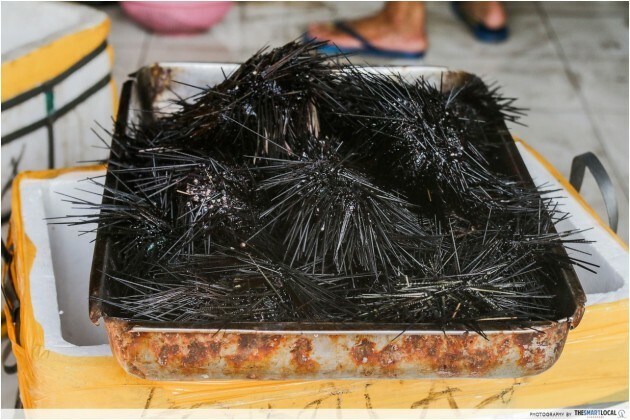 It’s not a seafood experience if you don’t get to see them before they end up on your plate! 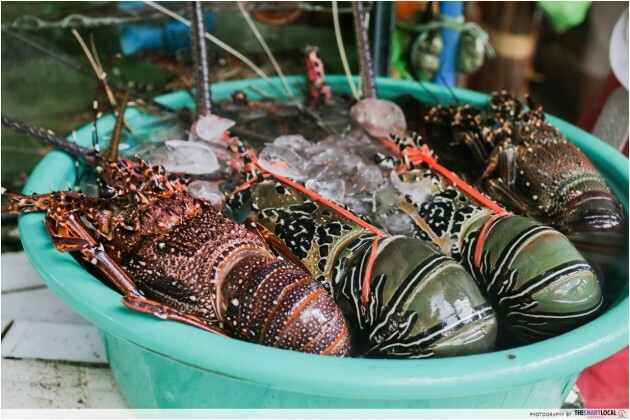 Here at Boracay’s D’Talipapa, fresh seafood is their pièce de résistance. I saw some pretty impressively-sized lobsters and prawns here at the market but be warned they don’t come cheap, especially if they’re still live. 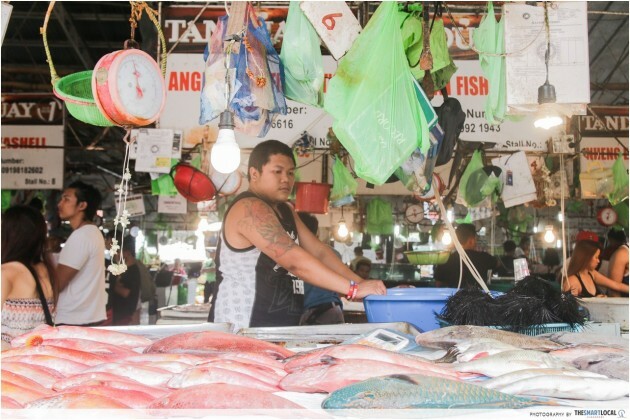 Here your bargaining skills will really be put to the test - some stallholders charge exorbitant prices for cheaper seafood items like clams and squid. 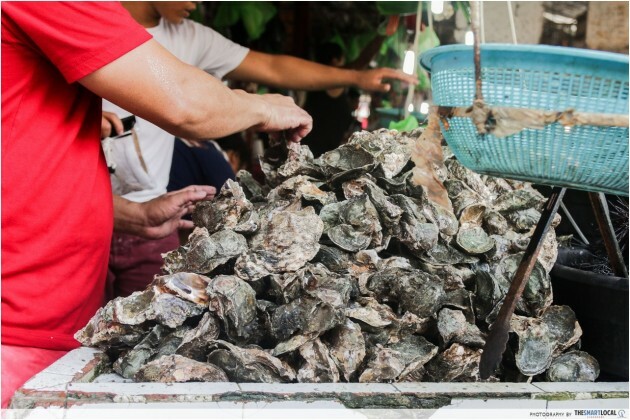 We were quoted a crazy 1850 PHP (SGD55.40) per kilo of clams, but this price was quickly reduced to 500 PHP (SGD15.00) when we started to walk away. 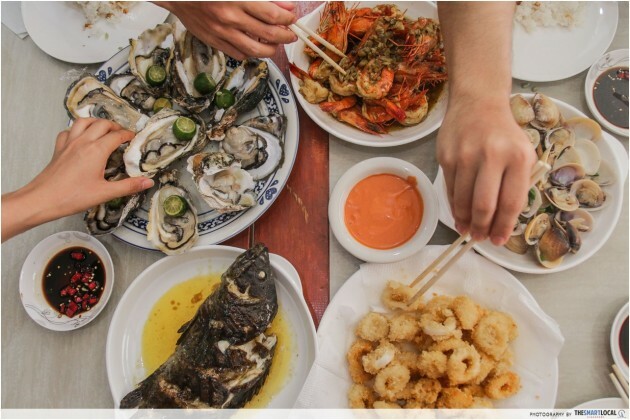 This was the case for almost all the seafood items we purchased, except for the oysters above that came at a very affordable 250 PHP (SGD7.50) for 2 kilos worth. Don’t be afraid to be firm on a reasonable price - they won’t sell you anything unless they’re earning a sizeable profit. 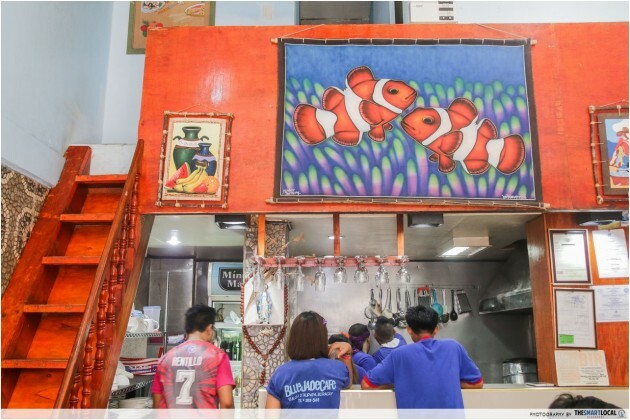 After buying your seafood, simply bring it to one of the surrounding restaurants to have it done the way you like. We chose to go to Blue Jade Cafe, a nice little restaurant with no service charge and tax - all prices are as you see on the menu. Boracay is best known for their prawns and boy were they delicious. 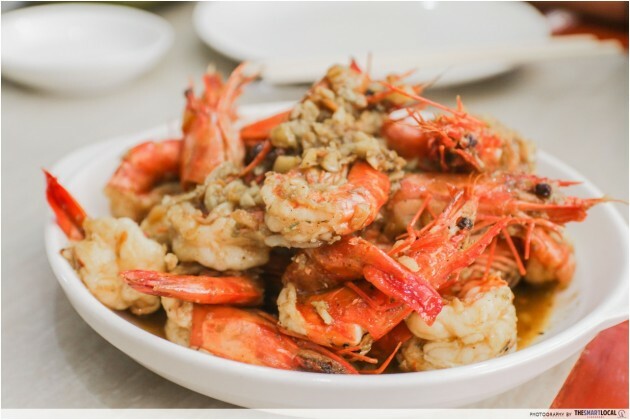 The most popular cooking style is to have it done in a fragrant garlic butter sauce. The prawns were juicy and sweet and one of the first dishes we finished. Grab a coconut or an ice-cold beer and sit down to enjoy the fruits of your hard bargaining work. The total cost came up to just SGD23.00 per person inclusive of cooking, drinks and some rice. Not too shabby, D’Talipapa! How to get here: D’Talipapa is located in Station 2 and located near the Regency hotel. 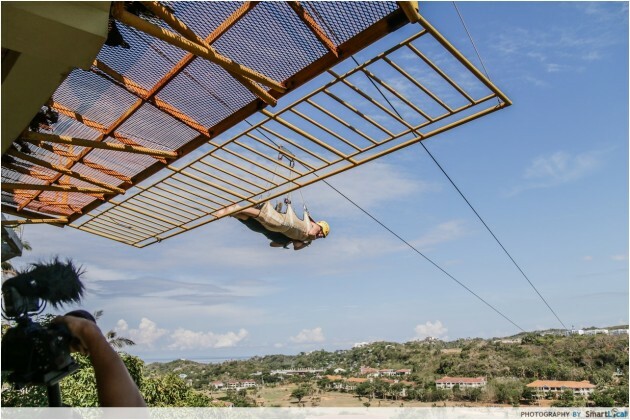 Ziplines were so yesteryear but certainly not this horizontal one! 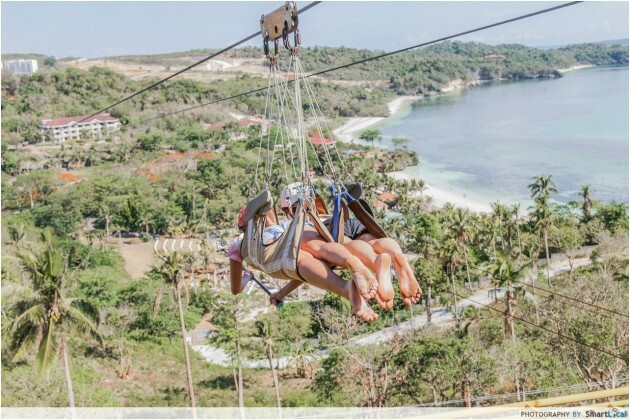 Here in Boracay you can soar through the skies on a very special zipline harness that allows you to go down headfirst just like Superman! You can choose to go down solo, together on two separate lines or tandem. Being the scaredy cats that we are Shine and I decided to go together on one line (tandem). Once you get past the initial fear of how vulnerable you feel, the ride is really not as scary as I thought it would be! In fact the view we got was absolutely amazing and I was even sad that it ended so soon. After your joyride you will be sent back to the start point on a little cable car. 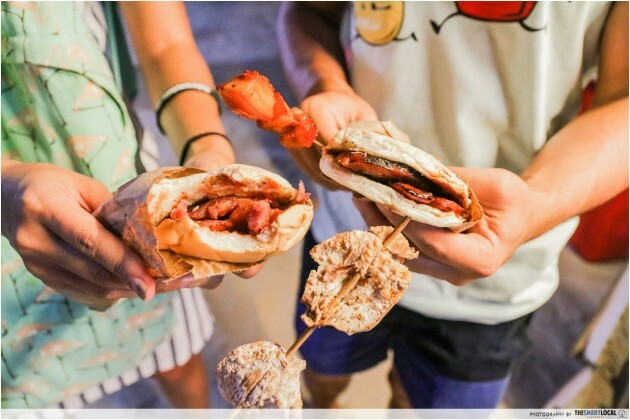 Don’t get me wrong, local street food like the Longga Burger and the Chori Burger you see here are so simple and yet so sinfully delicious one is probably not enough. The Longga Burger is made up of a sweet local sausage much like the Taiwanese version, while the Chori Burger is really short for chorizo burger which doesn’t need further explanation. 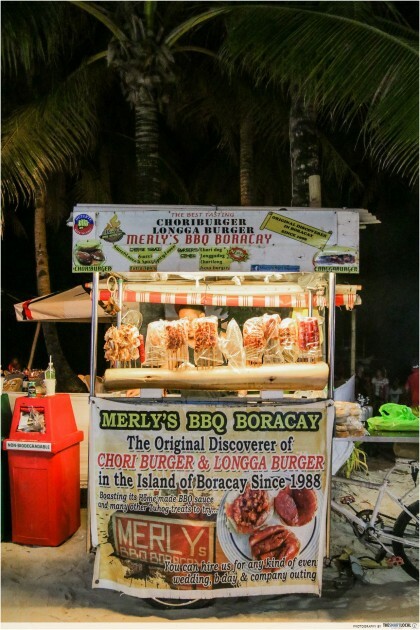 Do seek out Merly’s BBQ Boracay located along Station 2, just in front of Free Willy Diving. 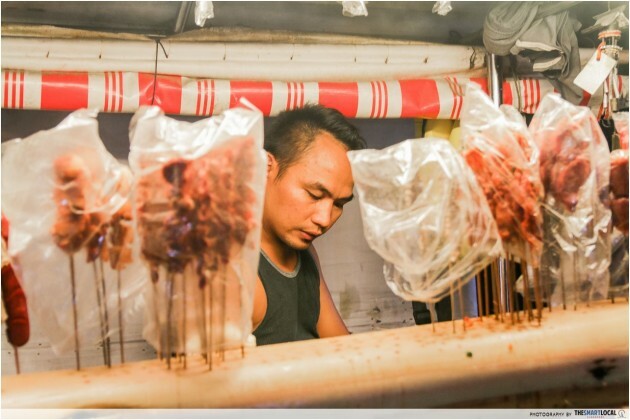 This food cart claims to be the “original discoverer” of the chori and longga burgers. With a reputation like that you can’t afford to miss out on some of their famous snacks. 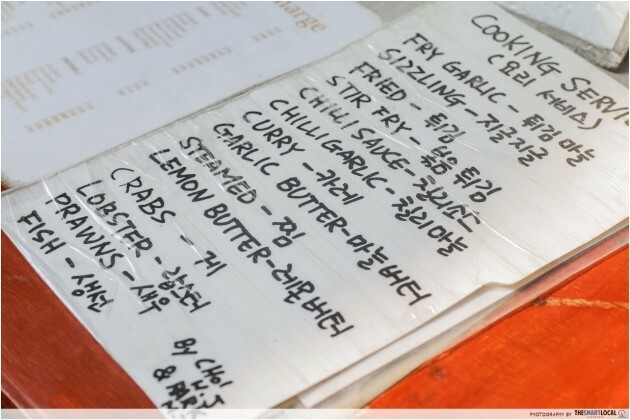 Apart from the burgers there’s also a variety of skewered meats on offer like dried squid, pork and chicken. We paid 180 PHP (SGD5.40) for 2 burgers and 2 skewers - a very attractive bargain indeed! Don’t enlarge this picture if you have a queasy stomach. What I don’t get however, is how someone can crave for something like balut. You can get balut from any street vendor by the beach for about 25 PHP (SGD0.75) per egg. For the unenlightened, balut is essentially a duck embryo in an egg that is considered a fine delicacy of the Philippines. 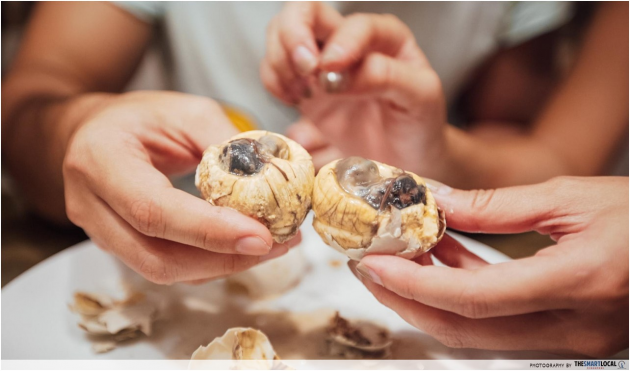 The right way to eating a balut is to make a small hole at the top of the egg and first drink the liquid inside (tastes like diluted chicken essence). You can then add a little chilli vinegar provided by the vendor and proceed to deshell the egg. There’s a hard piece of egg white in there - remove that. The egg-duck is now ready for consumption. I hate eggs so this was really difficult for me to finish. If you get a 16-day old egg the embryo is still soft enough such that you literally don’t know you’re eating it, but any older (19 days and above) and you’ll get a soft beak and maybe a feather or two. Not for the fainthearted. I’m not going to lie getting to Boracay is definitely not the easiest, but trust me when I say it’s worth it. Scoot flies to Kalibo airport 3 times a week on Sundays, Wednesdays and Fridays. Scoot’s nasi lemak is one of the better versions I’ve tasted. 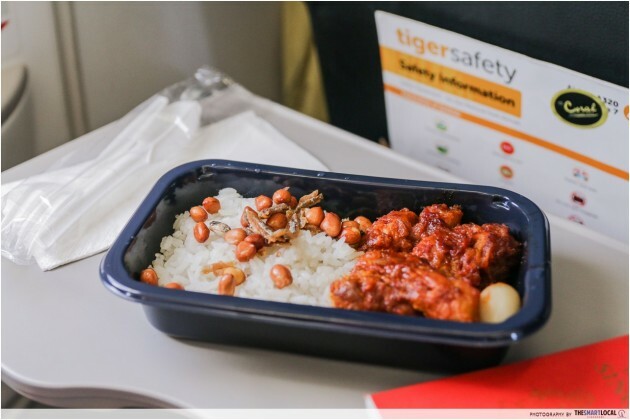 You also don’t have to worry about going hungry on Scoot with their variety of fresh inflight meals. 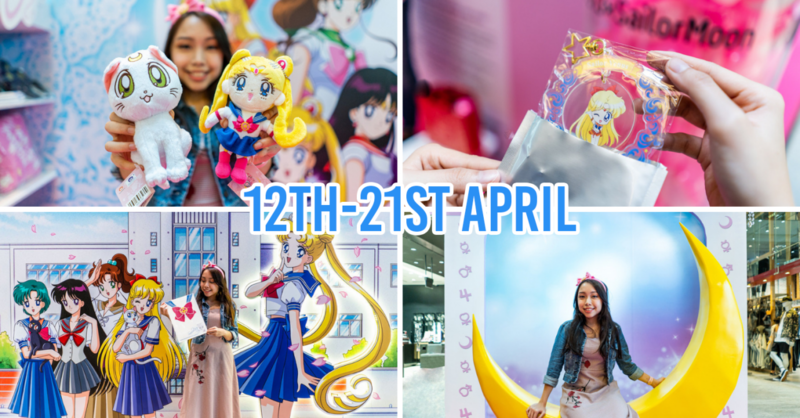 You can also click here to find out how to pre-order online and enjoy up to 25% savings! From Kalibo it’s approximately 1 hour and 45 mins drive to Caticlan Jetty where you’ll then board a 15 min ferry ride to Boracay. To save yourself the hassle of having to scramble for transport at the last minute, it’s a good idea to arrange for these transfers way beforehand. 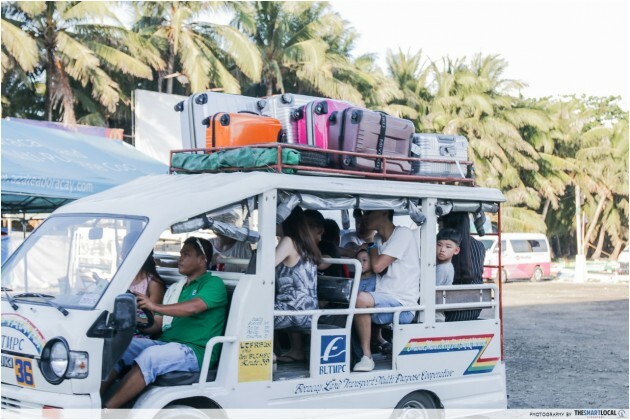 My Boracay offers land transfer services complete with a local guide who will bring you from the airport to your hotel doorstep. It cost us ‎1400 PHP (SGD41.90) per person for a round trip (Kalibo to Boracay and Boracay to Kalibo). The last thing you want is to be stranded at Kalibo airport at the start of your trip, so the convenience is definitely worth the cost. Pro-tip: Be sure to handle your luggage yourself if you can. Some porters will demand tips just for carrying your bag off the boat. Stand a chance to win a pair of return tickets to Kalibo on Scoot by just answering a simple question. 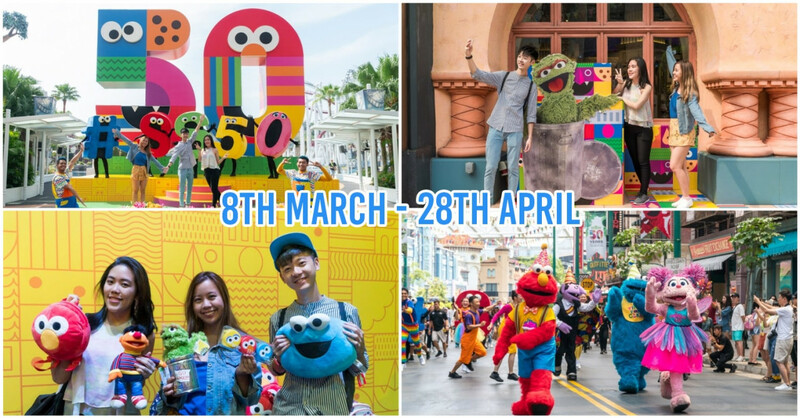 Click here to find out more on the contest, airfare and Booking.com accommodation deals and get double Changi Rewards Points for bookings made between 24 May and 08 June 2016! Book your ticket to Boracay via Kalibo on Scoot today! Book by 8 June 2016 to enjoy a promotional airfare of $155 all-in return! 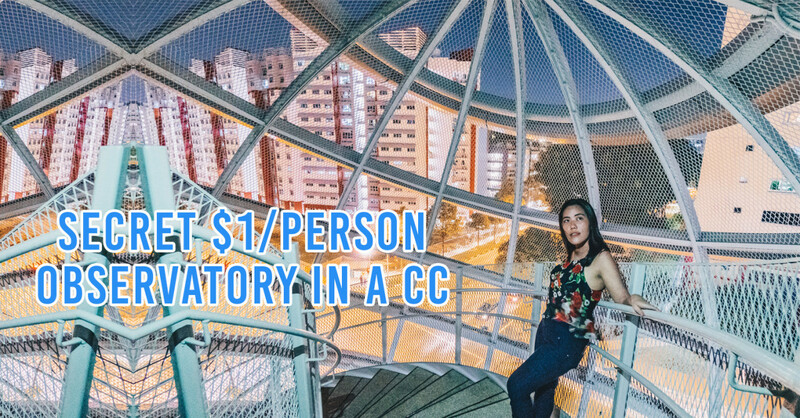 This post was brought to you by Changi Airport.